Create an enviable style for your child by suggesting that she dress in hot pink dress. Jumping Jacks toddler girls sunflower sandal are a nice choice to complement this style. 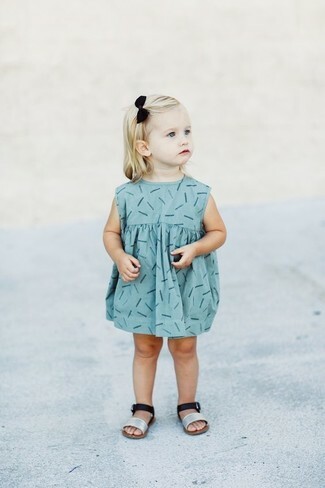 Dressing in light blue print dress is a smart fashion choice for your little girl. Jumping Jacks toddler girls sunflower sandal from Nordstrom are a savvy choice to complete this getup. 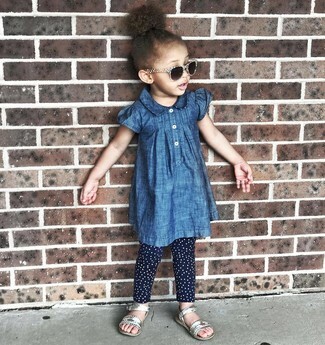 Suggest that your tot dress in blue denim dress and navy polka dot leggings to get a laid-back yet stylish look. Jumping Jacks toddler girls sunflower sandal from Nordstrom are a good choice to round off this getup. 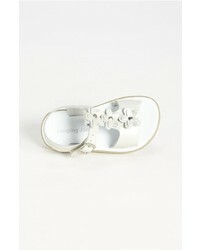 Silver dress will showcase your little girl's sartorial savvy. Jumping Jacks toddler girls sunflower sandal are a wonderful choice to finish off this getup. Wearing a white t-shirt and a white skirt is a smart fashion option for your tot. 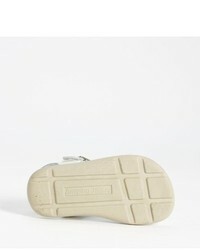 As far as footwear is concerned, suggest that your tot go for a pair of Jumping Jacks toddler girls sunflower sandal.